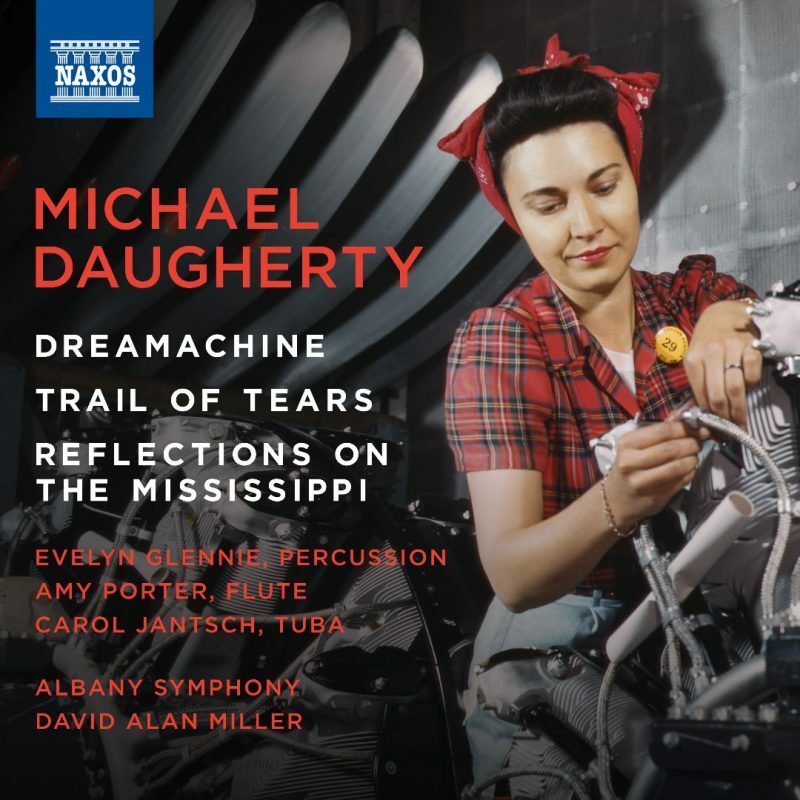 Grammy Award-winning composer Michael Daugherty explores the relationships between machines, humanity and nature in three unique concertos, including ‘Dreamachine’ featuring Evelyn Glennie. Grammy Award-winning composer Michael Daugherty explores the relationships between machines, humanity and nature in three unique concertos, including ‘Dreamachine’ featuring Evelyn Glennie. The Albany Symphony conducted by David Alan Miller delivers mesmerising performances. Dreamachine (2014) – Evelyn Glennie, percussion. World Premier recording – Albany Symphony Orchestra. David Alan Miller.